There are some authors that I know I can pick up a book by and not be disappointed with what they wrote. Sandra Brown is one of them. Her books spin thrilling stories of romance and suspense that keep me wanting more from beginning to end. 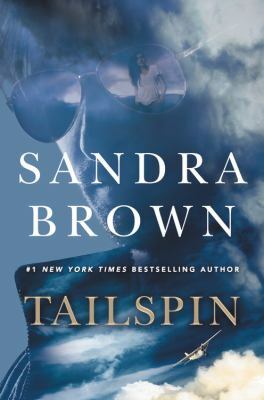 Brown’s novel Tailspin was my latest read/listen and I finished it in two days! Tailspin is the riveting story of Rye Mallett and Dr. Brynn O’Neal. Mallett is known as a ‘freight dog’, a pilot who can be called to fly anywhere in the world at anytime of day in any weather. Mallett is put to the test when he is called last minute to make a flight during stormy weather in order to deliver a black padlocked box to a demanding client. With his background as a fighter pilot in Afghanistan, not much scares Mallett and he isn’t going to let the weather hold him back, even though all the airports are grounded and no other pilot would even think of flying in that weather. Despite a rough flight, Mallett makes it to the small somewhat dangerous runway where he is to meet the doctor charged with picking up his precious mysterious cargo. Coming in for a landing, something happens to Mallett that results in a near crash. After getting off the plane, Mallett has a run-in with Dr. Brynn O’Neal, who is not the doctor that he was expecting. Brynn is a very dedicated doctor who is loyal to her patients, sometimes to a fault. She’s concerned with getting the contents of that black padlocked box to her patient within a strict forty-eight hour deadline. If that forty-eight hour deadline passes, the potential to save her patient’s life will expire. Mallett doesn’t trust Brynn. Even though her intentions are noble, Mallett feels like there is something that Brynn is holding back. This doesn’t bother Brynn because she doesn’t trust Mallett either. Mallett is unpredictable and is an erratic variable that threatens to destroy Brynn’s forty-eight hour deadline. Despite their uneasiness towards each other, circumstances have necessitated that the two reluctantly team up. They are soon racing against the clock, different levels of law enforcement, and people who are willing to kill for the contents of that black box for a high-level client. 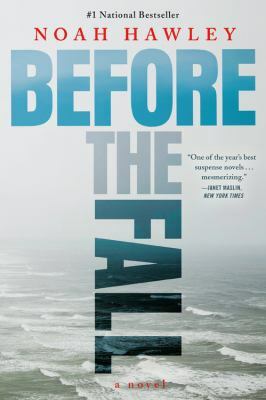 Before the Fall by Noah Hawley deals with tragedy and its aftermath. On a warm, foggy summer night, eleven people board a private jet heading from Martha’s Vineyard to New York. Sixteen minutes later, the plane plunges into the ocean, breaking apart. Two people survive: Scott Burroughs, a down-on-his-luck painter who was invited to fly by the wife of a wealthy media mogul, and a four-year-old boy J.J., the media mogul’s son. Scott swims in freezing cold water to save himself and the boy, his only thoughts on their survival. Scott is hailed as a hero, but mysteries surround his background and news stations can’t find much information about him. The bodies of the other people on the flight are still missing as news reporters struggle to get the real story and government and investigative officials work to recover the plane’s wreckage. Family, media, money, and conspiracy drama galore rampage through this book, leaving readers on the edge of their seats wondering what really happened and wondering what people’s real motives are. This book alternates between the present and past, highlighting each person who was on the plane, from the security detail to the pilots, the flight attendant, the media mogul, his wife, and young daughter, as well as a money launderer and his wife. As each character’s introduction and background story are revealed, a web of intrigue, lies, deception, and mystery comes to light. A conspiracy seems to unravel, only fueled by the 24-hour news cycle and the way the media has sensationalized this catastrophe. Everyone is drawing their own false conclusions with what really happened on the plane remaining a mystery as the book goes on. I listened to this book through OverDrive and greatly enjoyed it. I stayed up way past my bedtime and woke up very early on the weekend to finish it, which is something I only ever do if a book has really captured my interest. 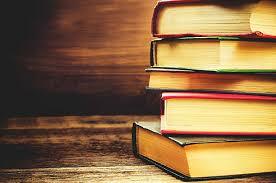 The narrator had me hooked by adding in voice inflections and nuances that brought eash character to life. Add in a captivating story and a mystery I didn’t figure out until the very end and I was fully drawn into the world Hawley created from the very beginning. 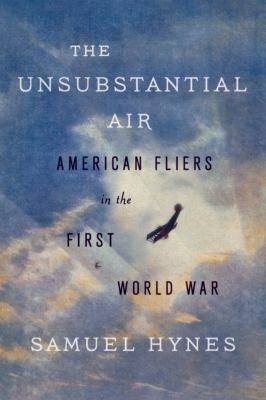 The Unsubstantial Air is the gripping story of the Americans who fought and died in the aerial battles of World War I. Much more than a traditional military history, it is an account of the excitement of becoming a pilot and flying in combat over the Western Front, told through the words and voices of the aviators themselves. A World War II pilot himself, the memoirist and critic Samuel Hynes revives the ad­venturous young men who inspired his own generation to take to the sky. The volunteer fliers were often privileged–the sorts of college athletes and Ivy League students who might appear in an F. Scott Fitzgerald novel, and sometimes did. Others were country boys from the farms and ranches of the West. Hynes follows them from the flying clubs of Harvard, Princeton, and Yale and the grass airfields of Texas and Canada to training grounds in Europe and on to the front, where they learned how to fight a war in the air. And to the bars and clubs of Paris and London, where they unwound and discovered another kind of excitement, another challenge. 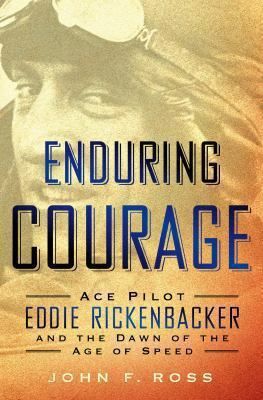 He shows how East Coast aristocrats like Teddy Roosevelt’s son Quentin and Arizona roughnecks like Frank Luke the Balloon Buster all dreamed of chivalric single combat in the sky, and how they came to know both the beauty of flight and the constant presence of death. By drawing on letters sent home, diaries kept, and memoirs published in the years that followed, Hynes brings to life the emotions, anxieties, and triumphs of the young pilots. They gasp in wonder at the world seen from a plane, struggle to keep their hands from freezing in open­ air cockpits, party with ac­tresses and aristocrats, rest at Voltaire’s castle, and search for their friends’ bodies on the battlefield. Their romantic war becomes more than that–a harsh but often thrilling reality.